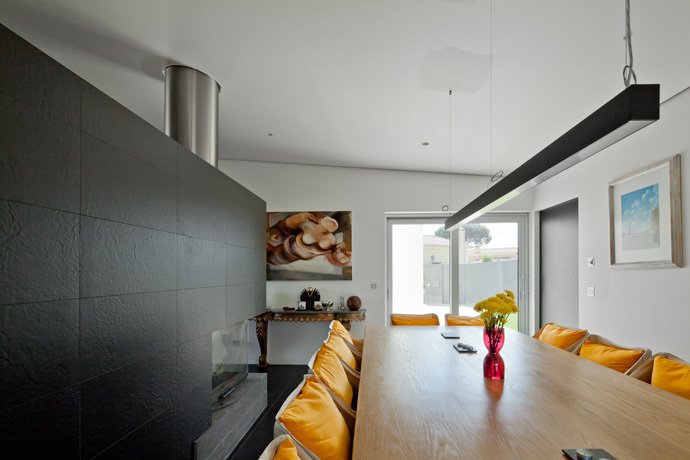 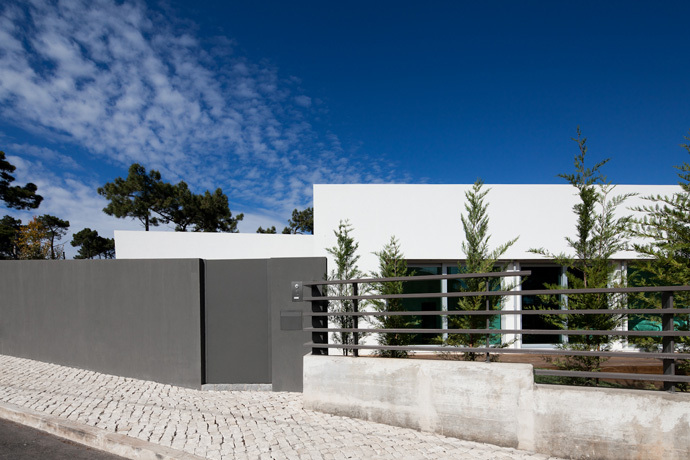 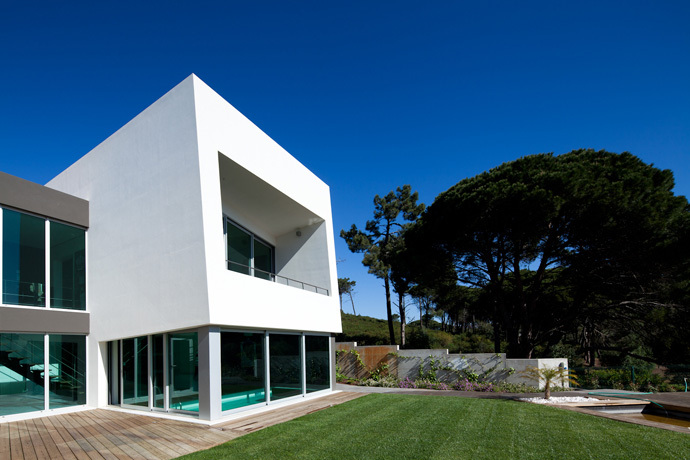 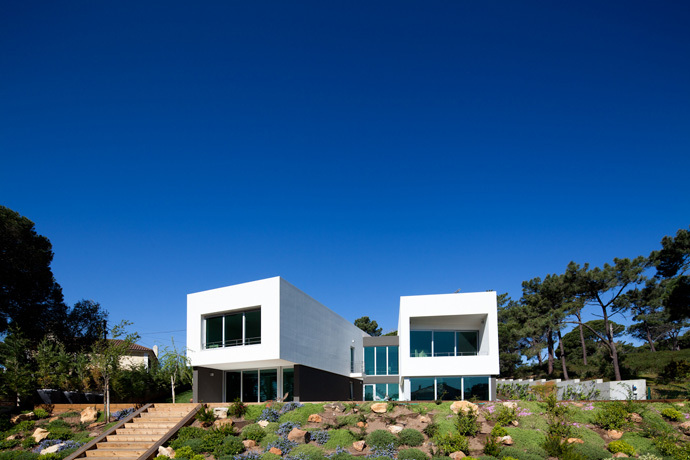 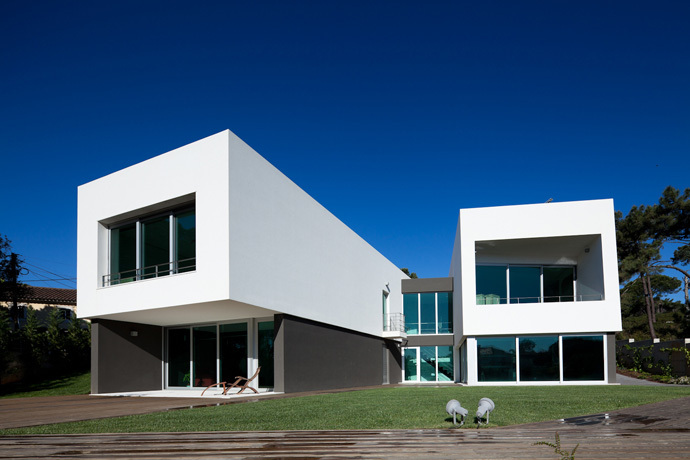 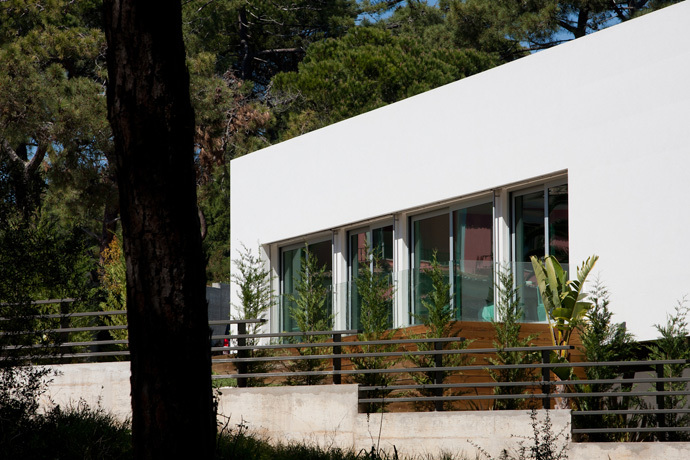 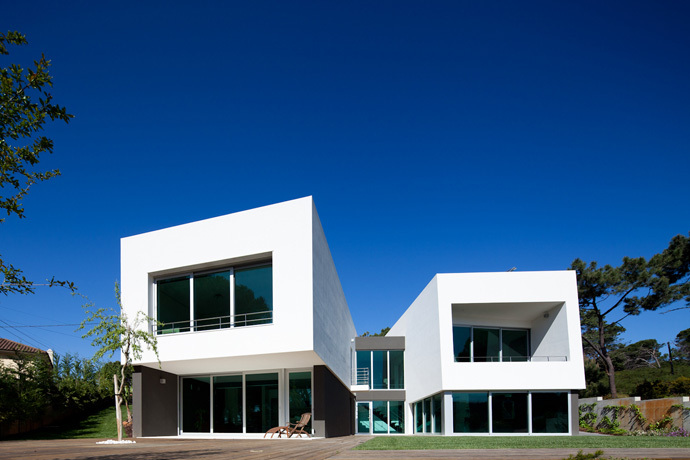 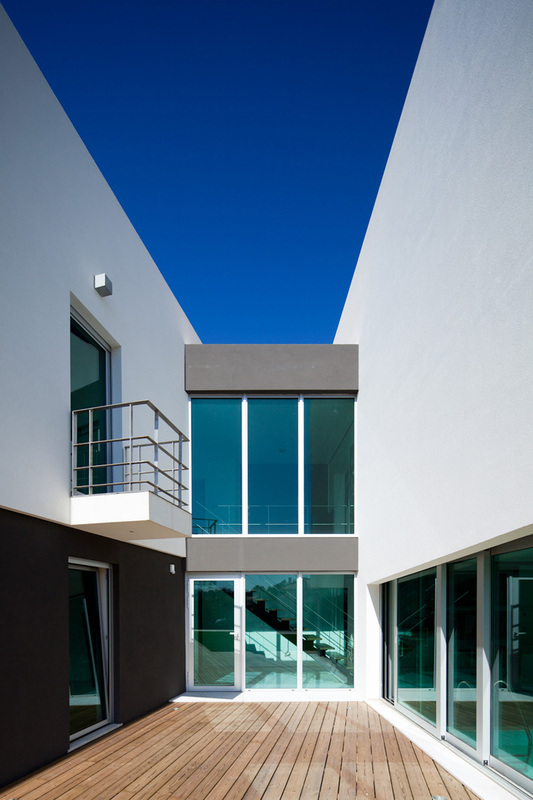 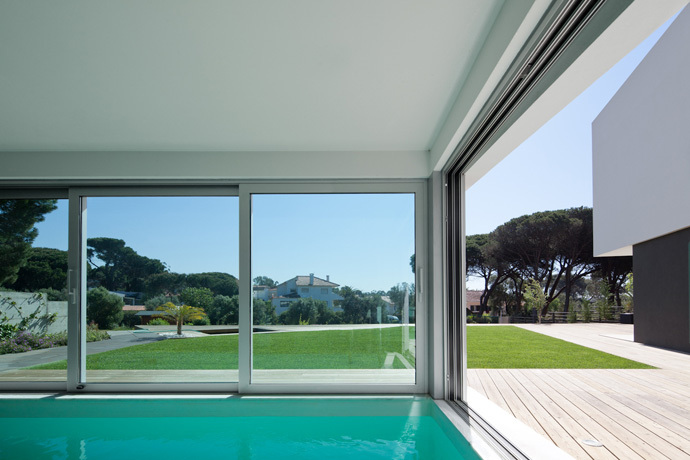 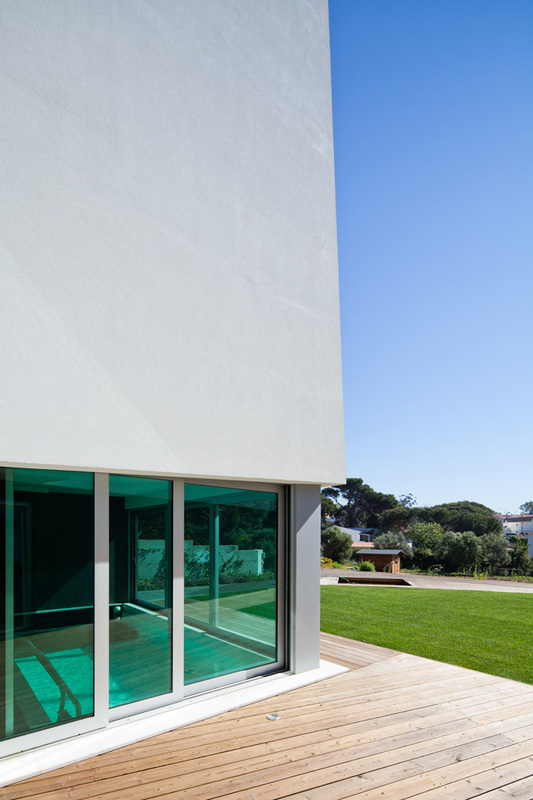 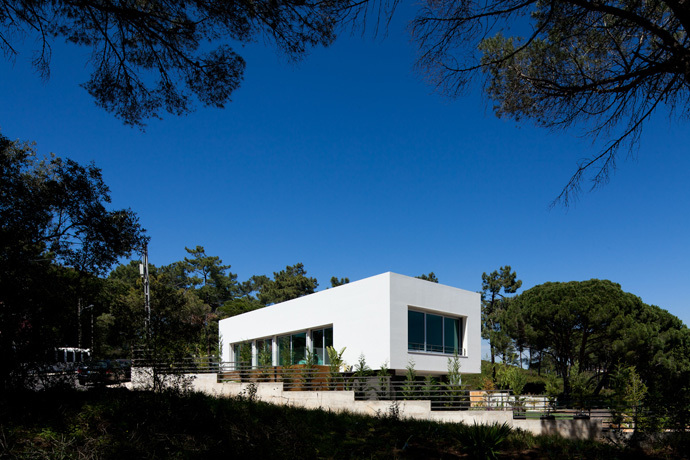 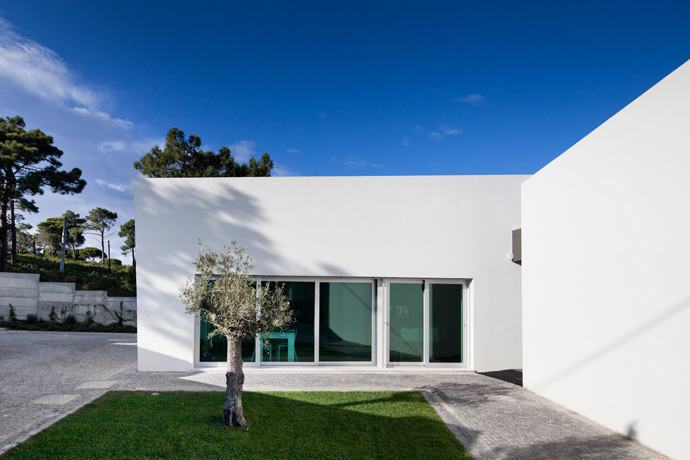 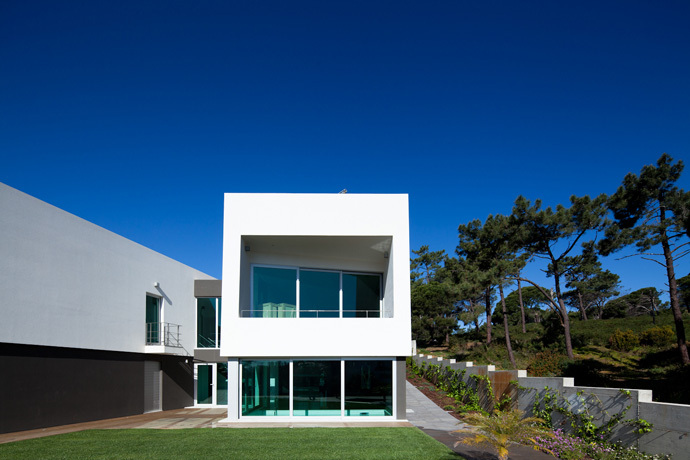 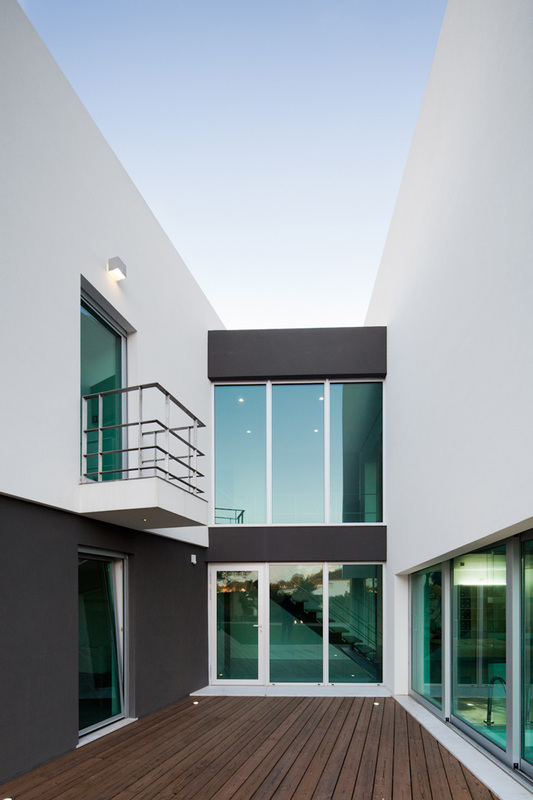 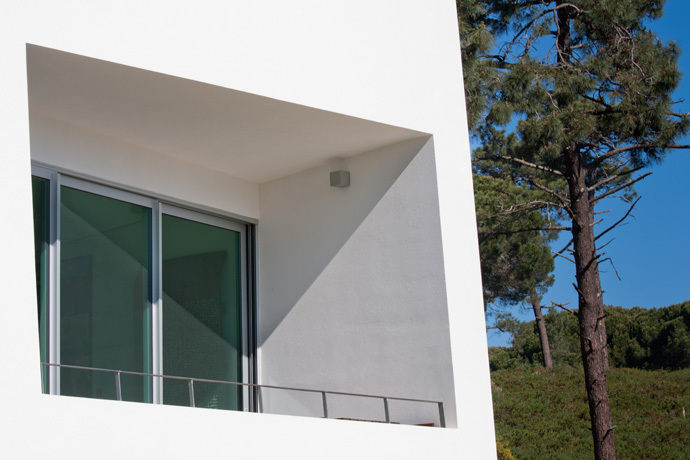 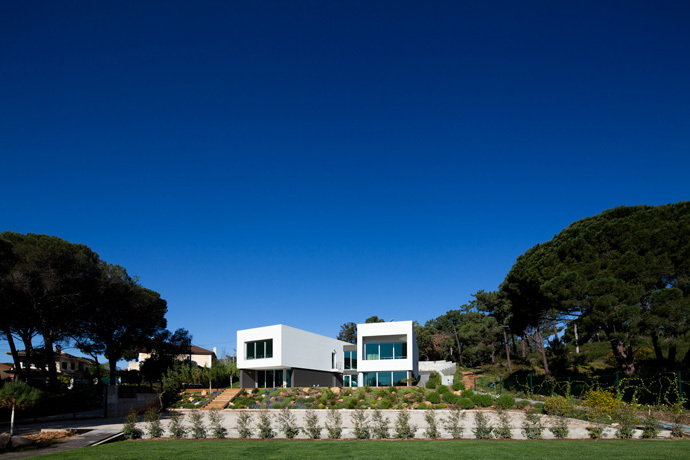 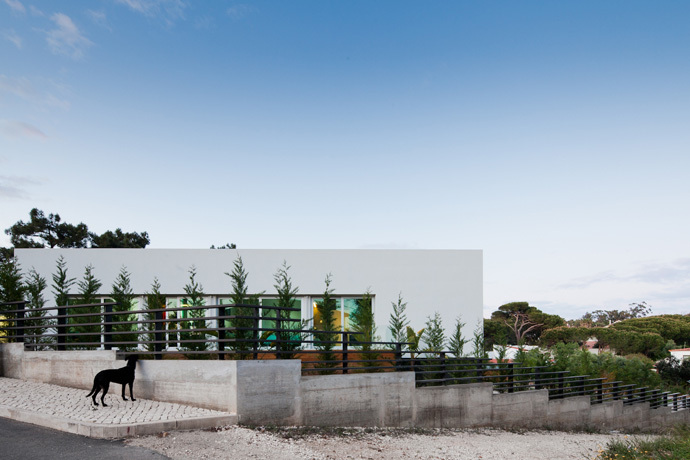 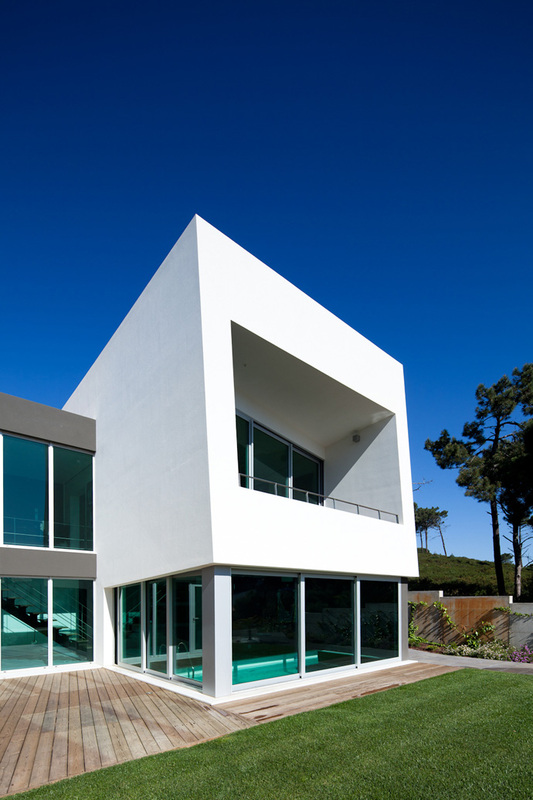 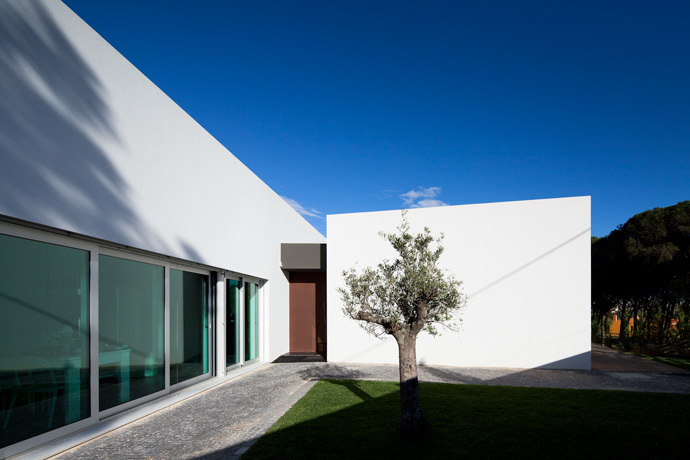 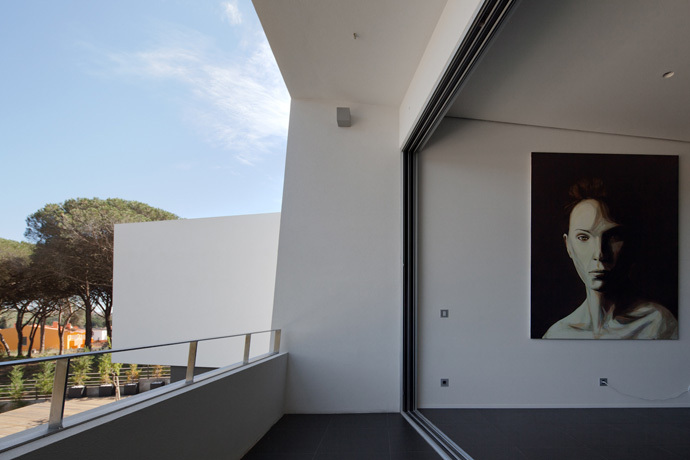 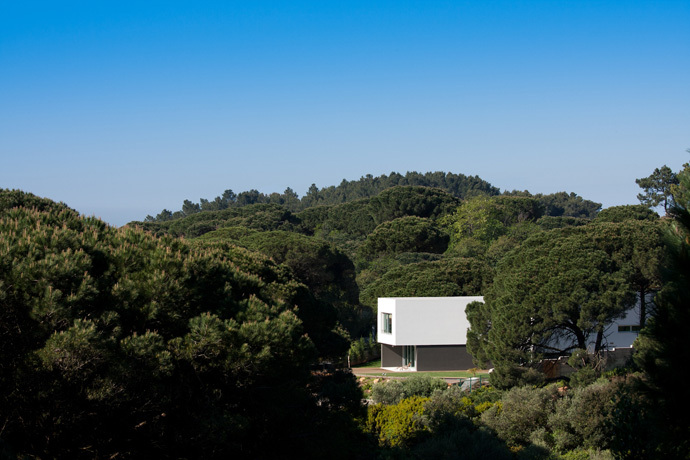 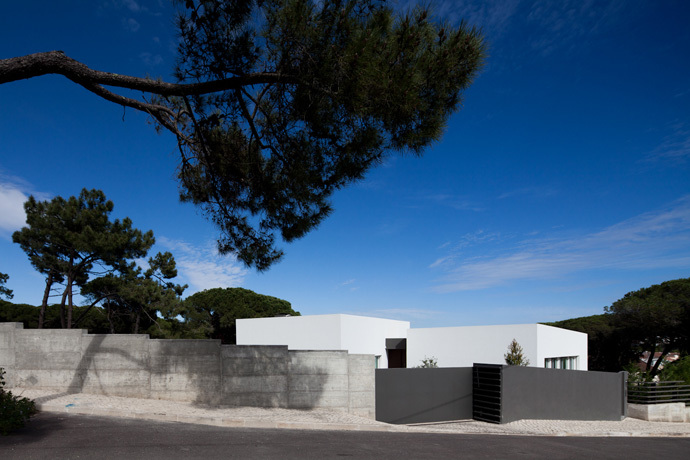 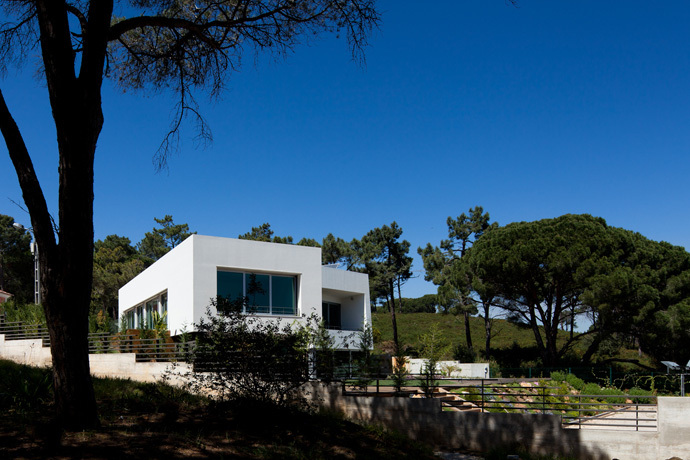 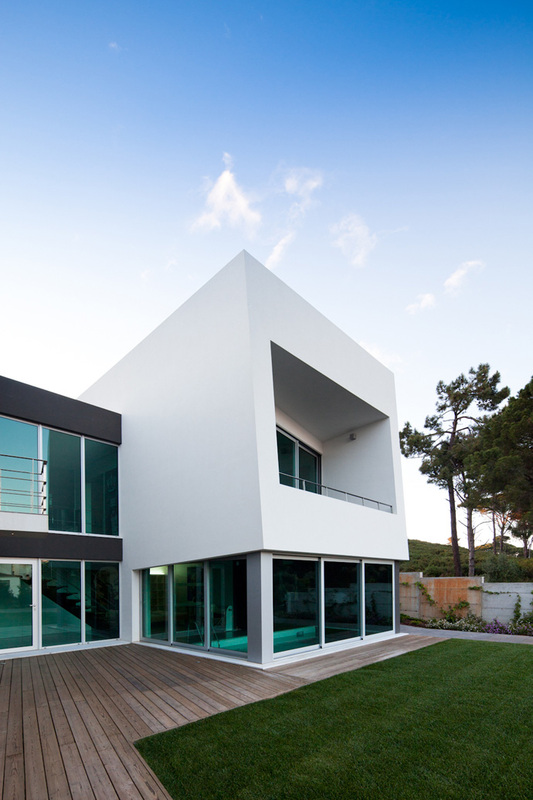 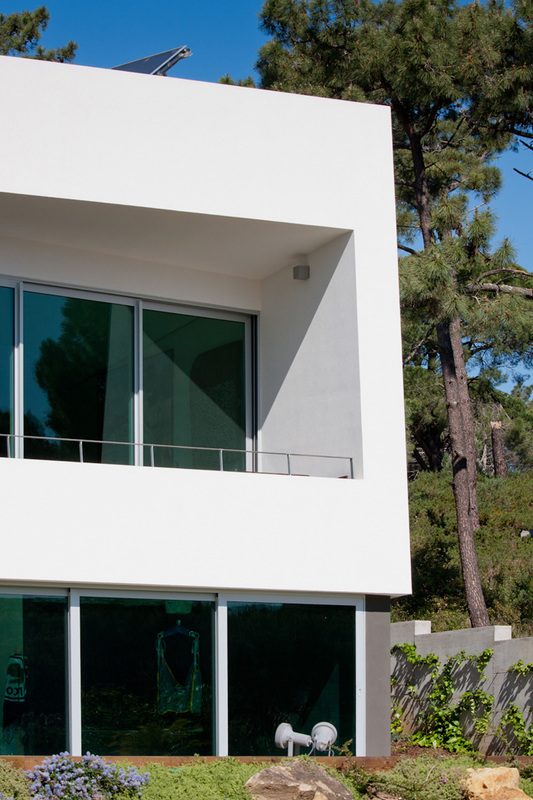 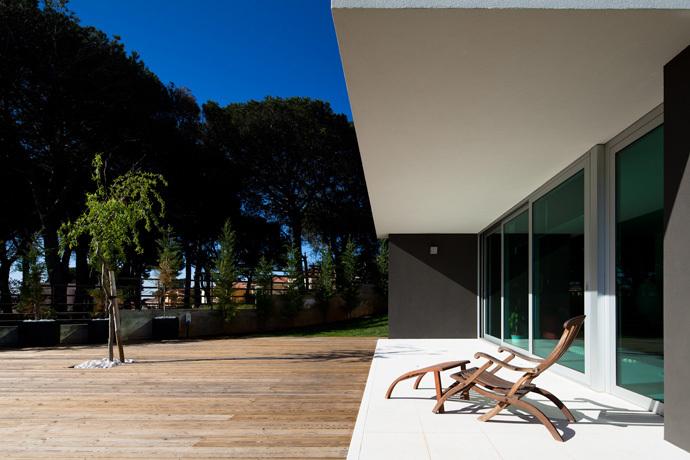 Empty Space Architecture designed the Godiva House located in Cascais, Portugal. 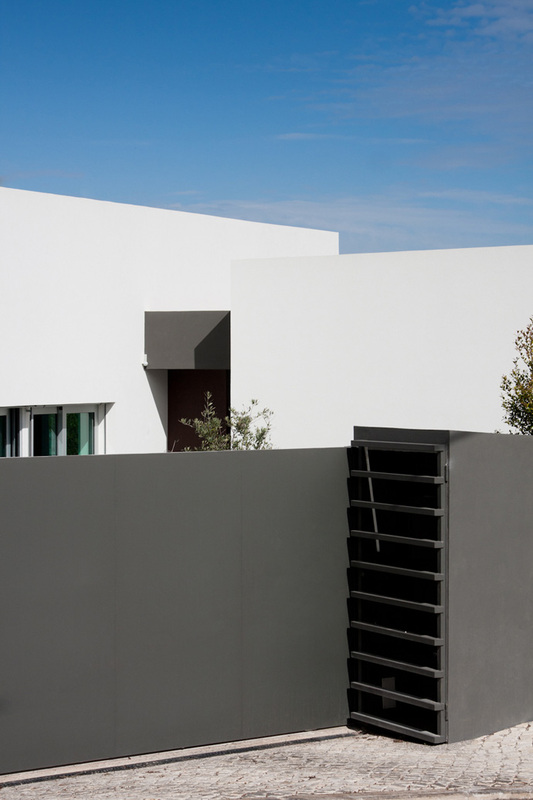 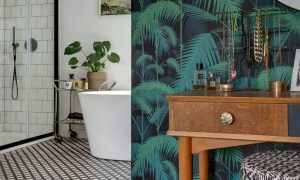 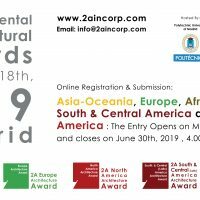 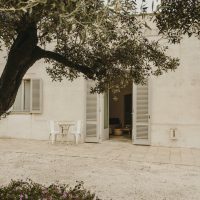 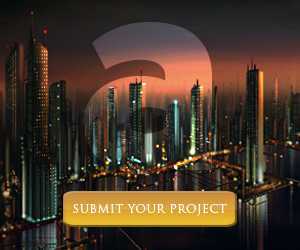 The construction is a mix between fine architecture associated with simple geometry, noble materials, contemporary and innovative construction methods and artistic form. 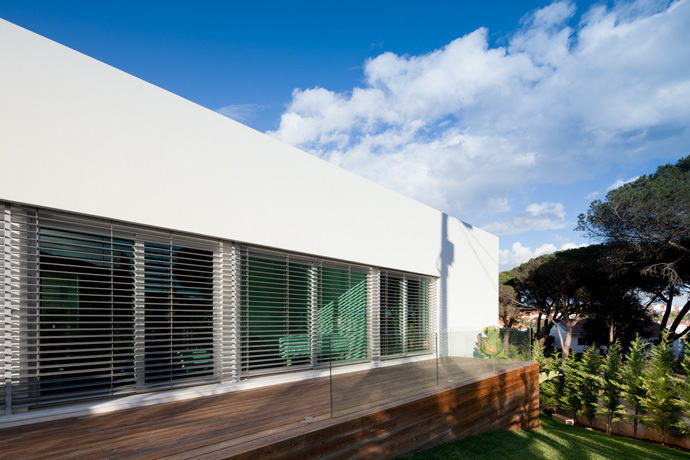 A lot of attention was given to the specific characteristics of the materials and environmental sustainability. 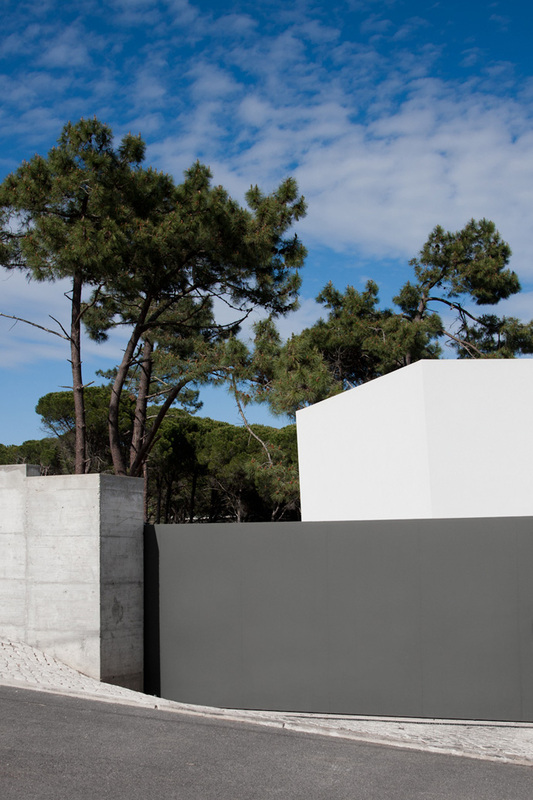 This architectural object is composed of three containers of different dimensions. 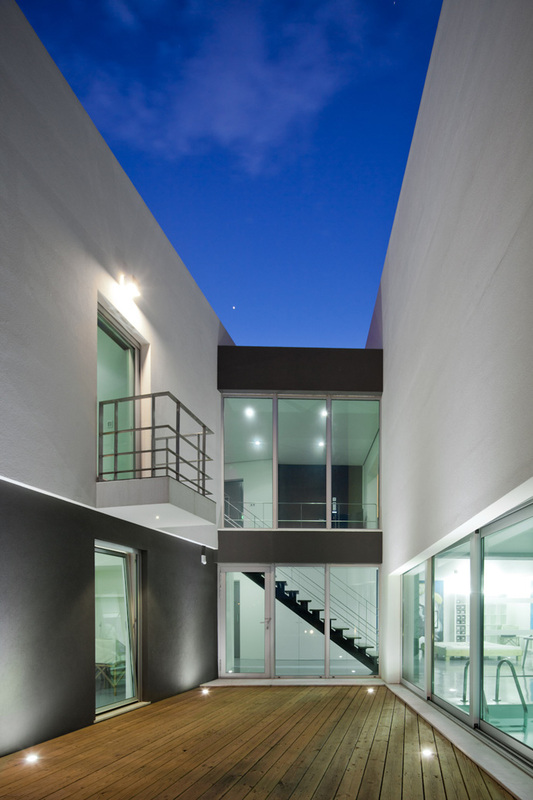 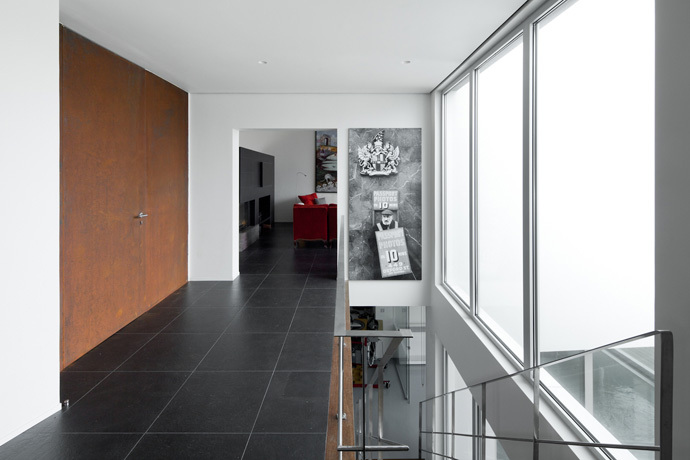 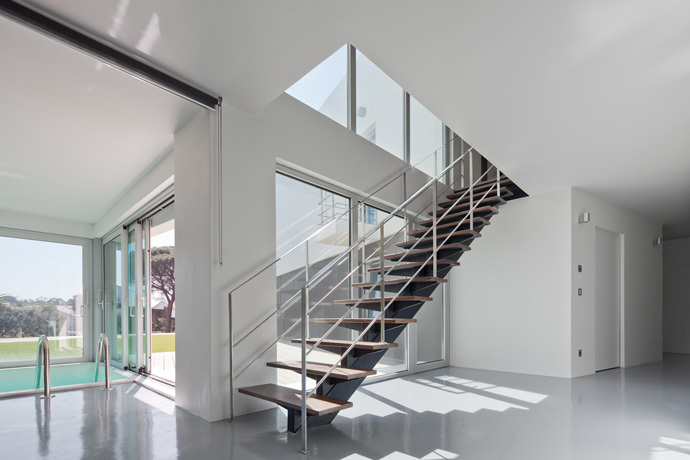 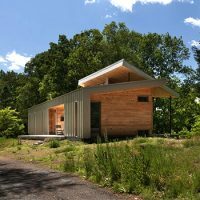 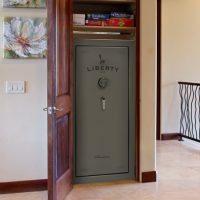 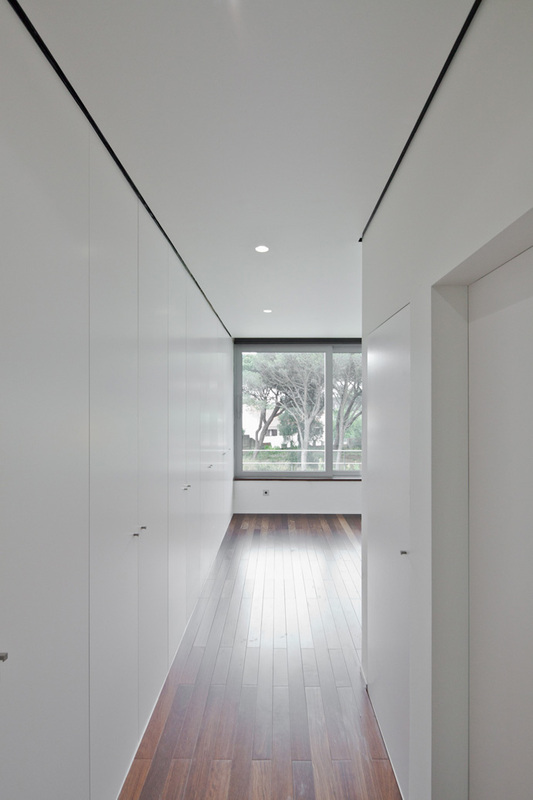 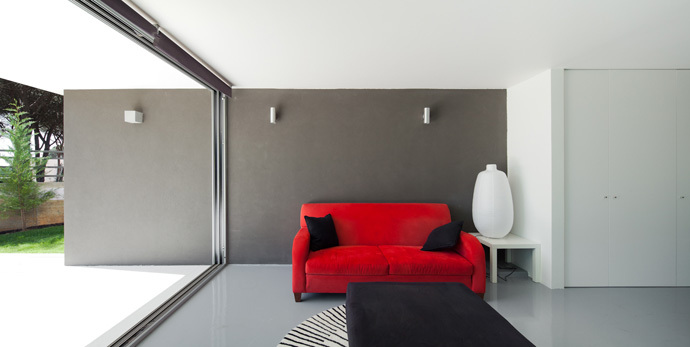 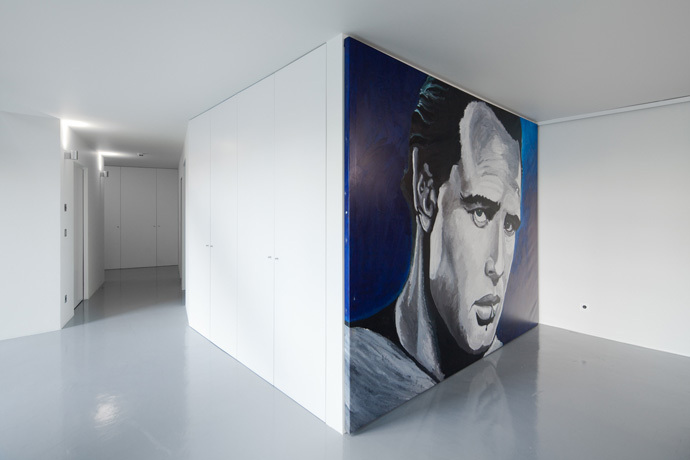 The South container is designed to accommodate private spaces of the house (rooms, suites). 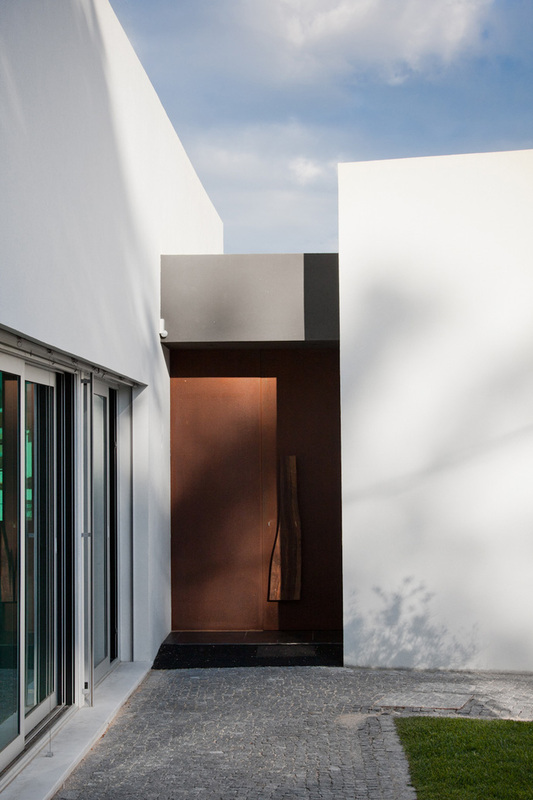 The North container receives the social spaces of the house (semi-public). 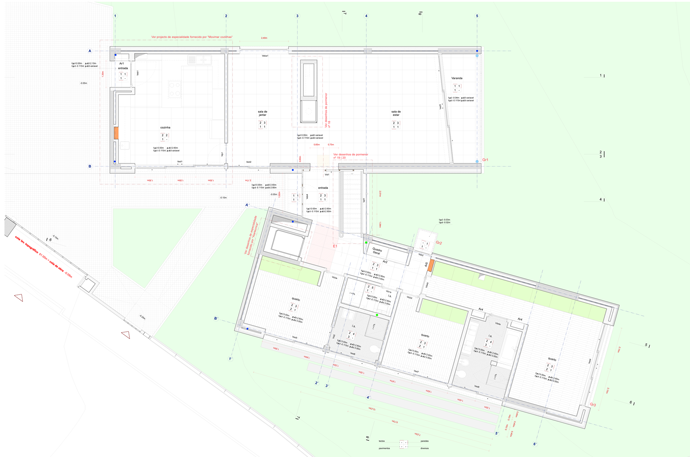 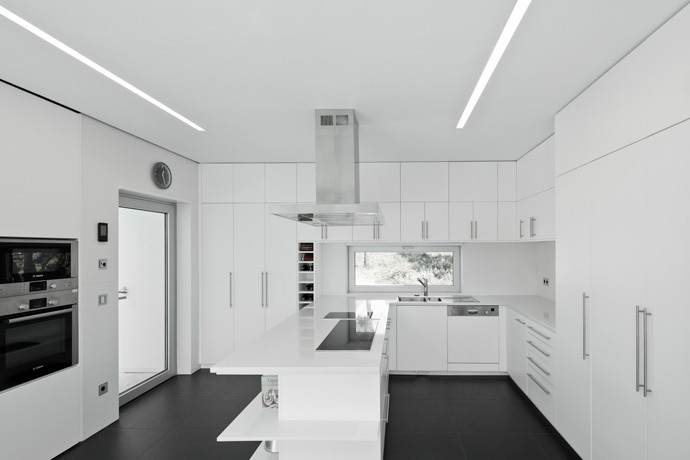 composed of the main room, dining room and kitchen.The smaller central container, is the prime and principal element of all formal and spatial organization of this architectural object. 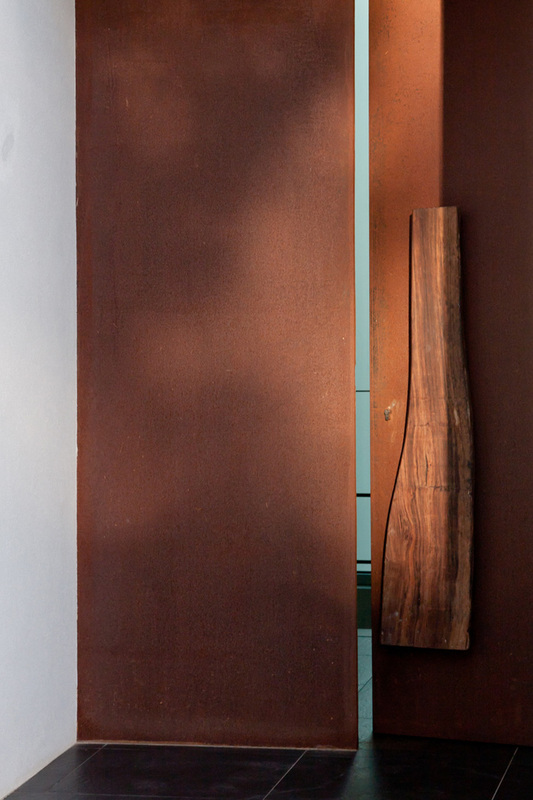 It is the hinge. 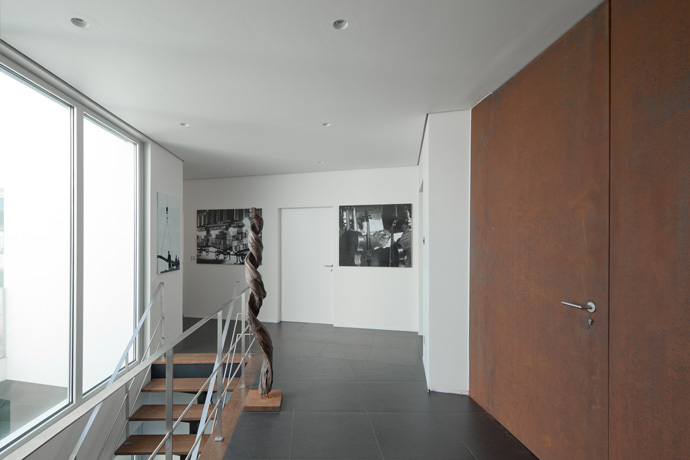 It is the element of arrival and departure. 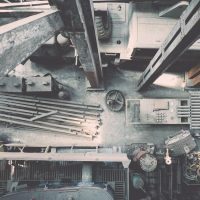 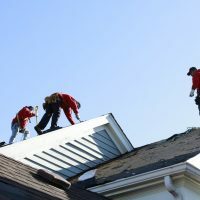 He is the interconnection element of the low elevation to the high. 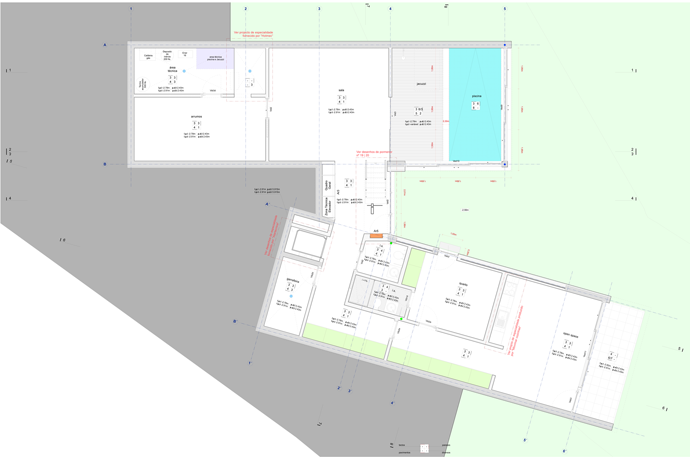 He is the center of the building. 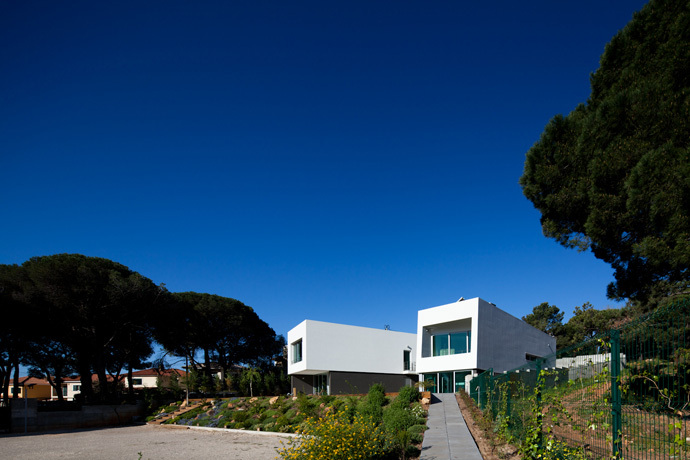 The garden is almost like a house where you can take long and nice walks but without the roof over your head. 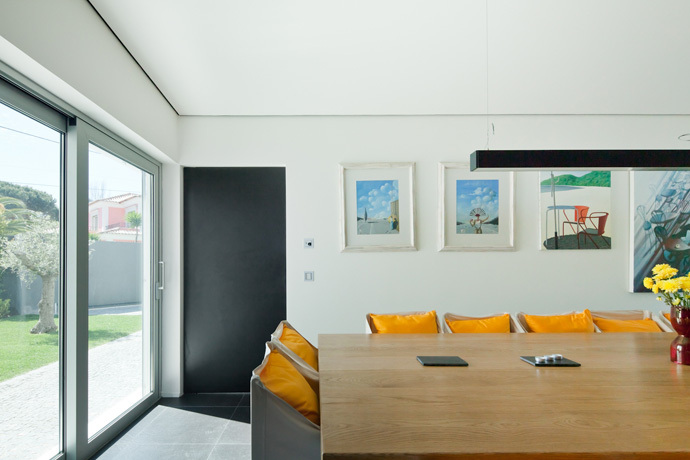 It’s always nice when you have a lot of natural light in the privacy of your own home, and this one is flooded with light all day long.